I know a guy that has 3 of them in this color I belive in CA! To me it looks like a baby 2000GT. The model is a 1:43 by Norev I got off eBay for $6.00 and free shipping. It is a very great model. My only complaint is that the mirrors do not securely fit into their holes so they are very easy to lose. 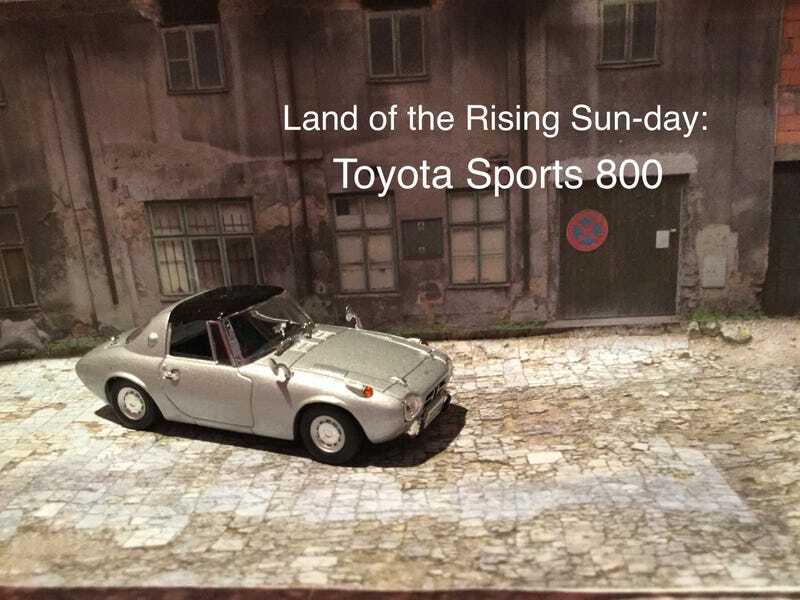 I recommend this model to anyone that likes vintage Japanese cars and Toyotas. Sayōnara!